Spring has officially sprung! It’s the time of year when we literally dust off the old and bring in the new. But a good dusting isn’t all our homes need. It’s also the time of year that we let go of old ways of thinking and start to pay more attention to our health. 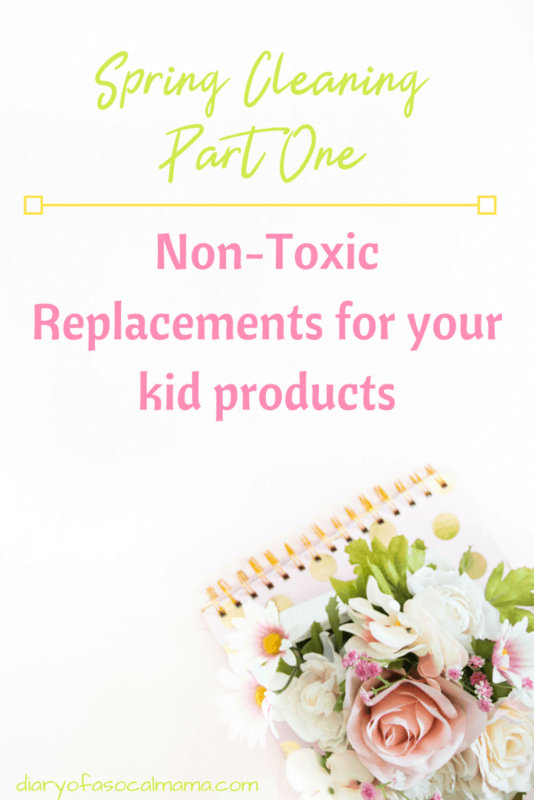 I’ve partnered with Anneliese Wells, mom, health advocate, and clean beauty ambassador for this four part series on how to spring clean the products you use to make your house a more non-toxic space for you and your kids. Before I had kids I never thought too much about the products I used. But after getting pregnant and more so after my baby arrived I knew I wanted to clean up the products I use. We’re kicking off this four-part series with non-toxic products for babies. We cover Cleaning Products, Beauty, and Eco-Friendly Products in the other posts. These little mess makers get their own category. Throw out the old idea that baths have to be daily and filled with bubbles to get the grime off. Yes, it’s fun but it’s also drying and irritating to their tender skin. 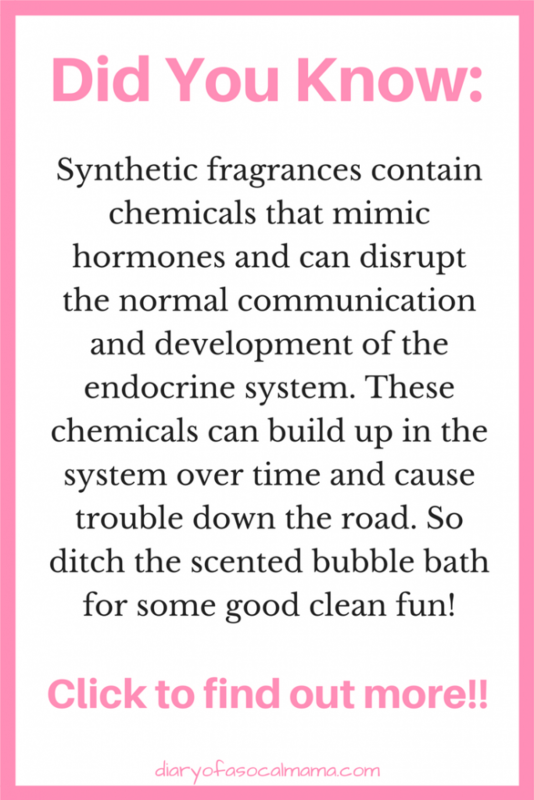 Plus, some of the ingredients in those scented bubbles can slowly build up in organs and cause troubles down the road. We know it’s a bit overwhelming to look at a label and decode the ingredients. It often seems as if you have to have a degree in chemistry just to choose a body lotion! We’ve taken the easy way out and stuck to brands that are committed to using ingredients that are safe for the whole family. I’m not spending another minute standing in the aisle trying to read a label while my kid simultaneously tries to take down every item off the shelf! We’ve suggested a few product lines below. 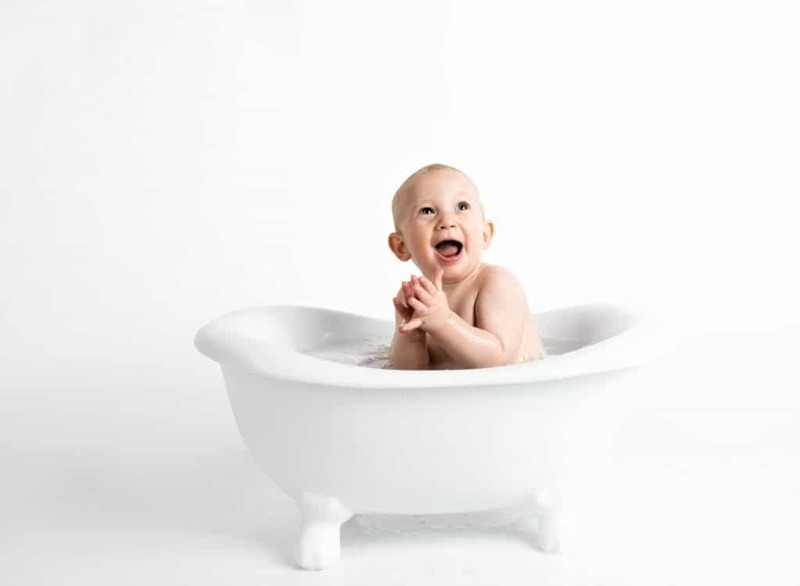 If you want to read reports yourself, check out this report on toxic chemicals in kids bath products from the Environmental Working Group. California Baby is a great line created by a mom who wanted a better option for her own kids. Nothing I love more than great products that support other moms. And a little bit goes a long way! They have an entire line of products for bathing fun. They even make a bubble bath! It smells great, unfortunately my toddler hates bubbles. Definitely give them a shot with your kids. Beautycounter Kids and Baby is, of course, another favorite line. The line is also created by a mom and the company’s mission is to get safer products into the hands of everyone through safer laws. Be sure to check out their full line of safe bath products. The sun can be very harmful to delicate skin, but we may also be doing damage with the chemicals we slather on to stop UV rays. Be sure to grab some safe sunscreen for your little one. Check out this report on safe sunscreen to find a great one to use this summer. I’m hoping to get my hands on a sunscreen stick from BeautyCounter this summer. Last summer they sold out before I could get one! Safe sunscreen and a convenient way to apply it to the face of a wriggly toddler, sign me up please. I’ll also be keeping one in the diaper bag for myself to use as I’m terrible about getting sunburned on my face when we go for walks in the summer. Another brand and product we love is Goddess Garden. Just NOT the aerosol spray! Titanium Dioxide is GREAT when not airborne. It is toxic to the respiratory system when sprayed in a fine mist. You can find the pump spray version on Amazon. Fragrance and preservatives are things you want to eliminate from this category. As great as they can smell they can also irritate the skin, especially sensitive baby skin, the exact opposite of what you’re going for here. A great choice is a lightweight oil like Shea Moisture. It will provide gently moisture to the skin and smells nice…due to natural fragrance, not harsh chemicals. Moms on Amazon love it if the reviews are anything to go by! Another option is Honest Company lotion, they have lightly, naturally scented lotions as well as a fragrance free version. Try all four to see which you like best! We hope you’ll be adding some of these non toxic products for babies to your cupboards. They also make great additions to baby registries so tell any mamas to be about them as well. Just as you need to consider what you put on your kids you also need to consider what you use around your kids. Want more great non toxic replacements? Check out part two of the series, where we talk about detoxifying your cleaning products.